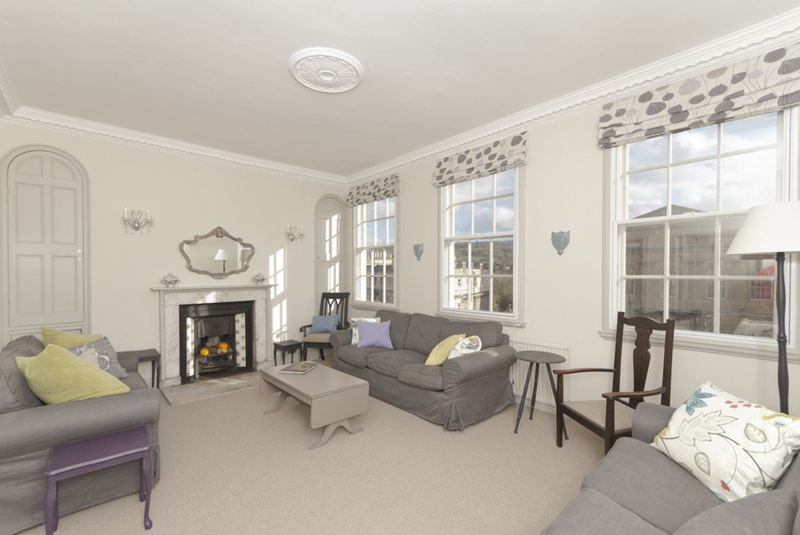 Rennie house was built in 1778 for John Lowther and still retains many of the original Georgian architectural features. 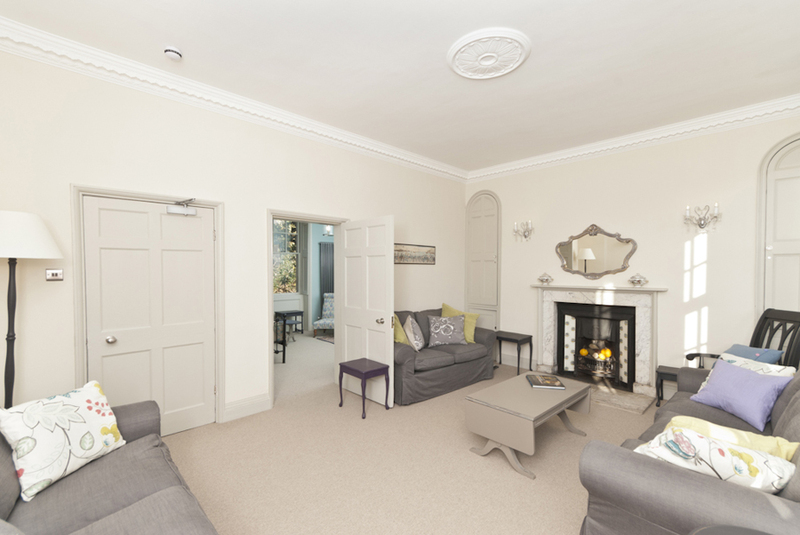 The house has been completely refurbished to a superb standard enhancing the elegant classical proportions with sympathetic contemporary design, comfort and safety. 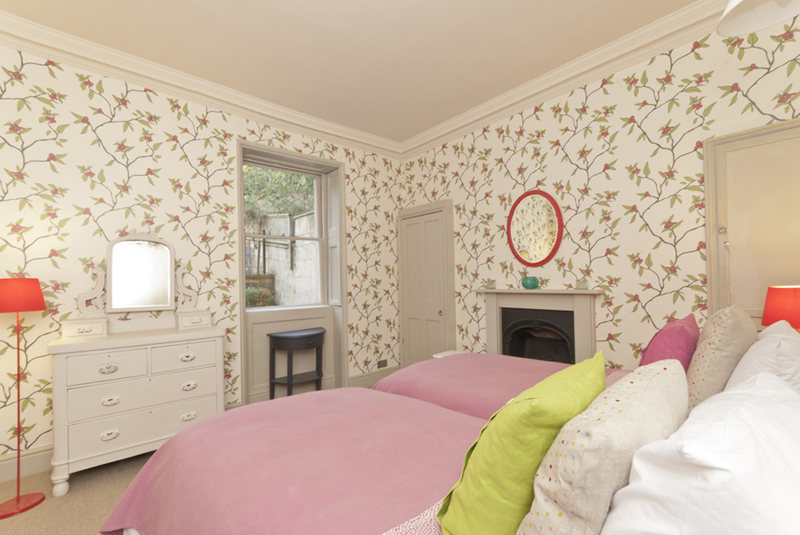 Farrow and Ball colours, exciting wallpapers and fabulous furnishing fabrics are the backdrop for big comfy sofas, wonderful beds and luxurious bathrooms. 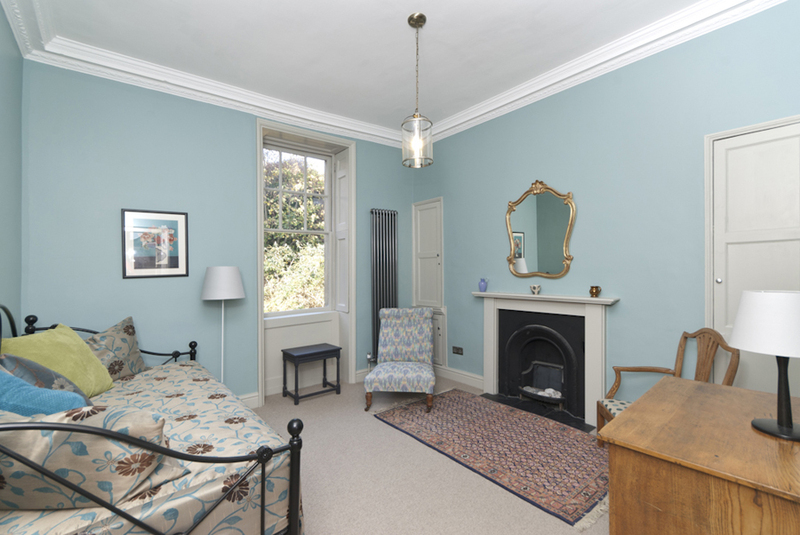 Authentic antique and vintage furniture has been lovingly restored after rescue from markets in Normandy and the West Country. 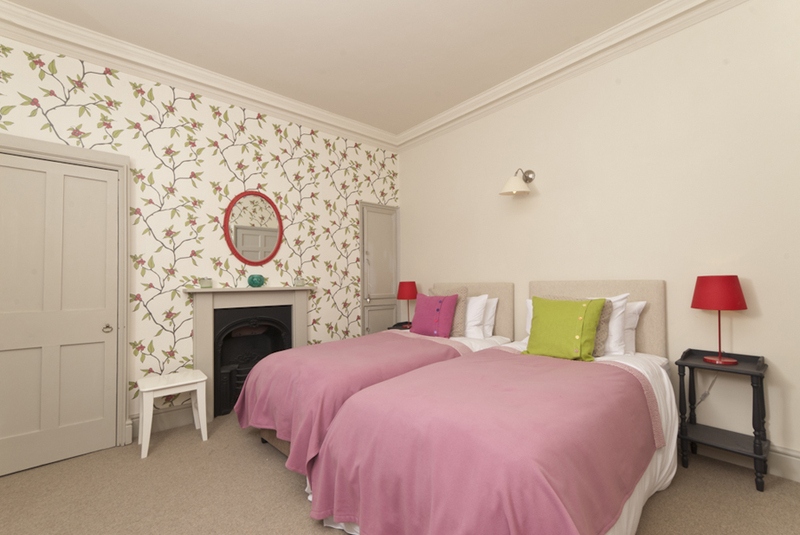 There are seven bedrooms offering flexible accommodation to suit the needs of your party. 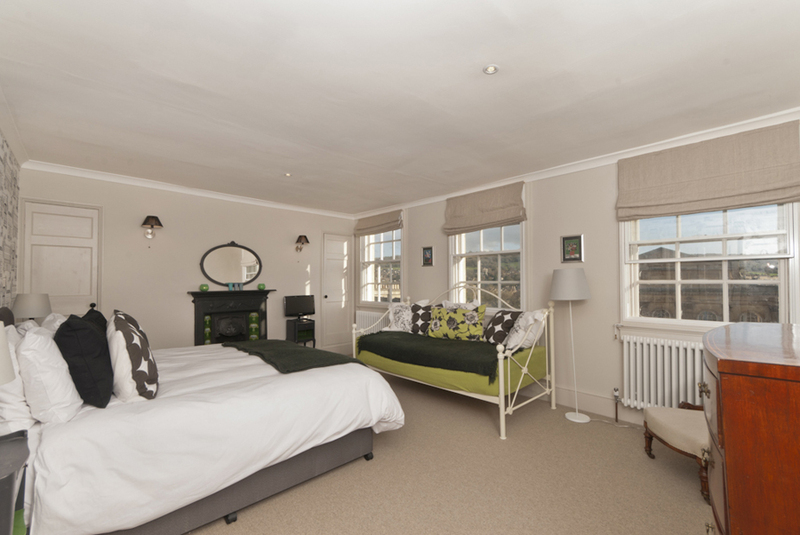 There are two single bedrooms and five bedrooms with twin or super king beds, one including a pretty 3' day bed (plus an optional fold up bed). 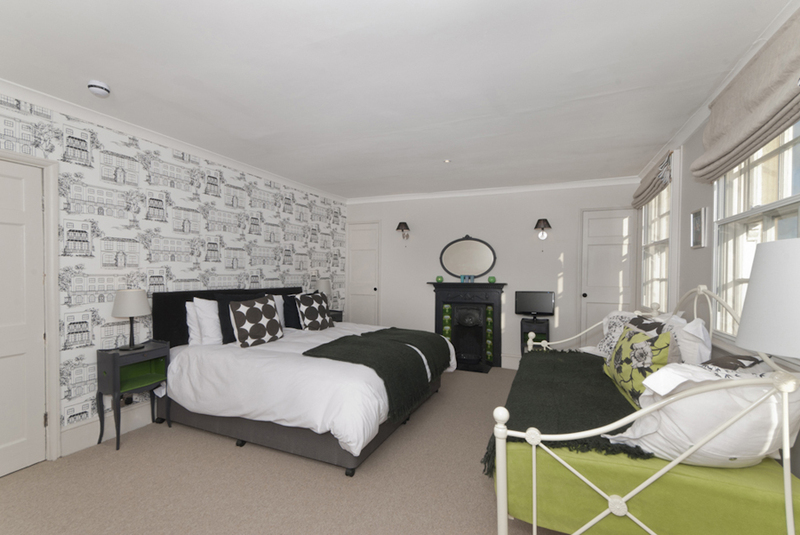 The supremely comfortable pocket sprung beds are handmade by a traditional English family run company. 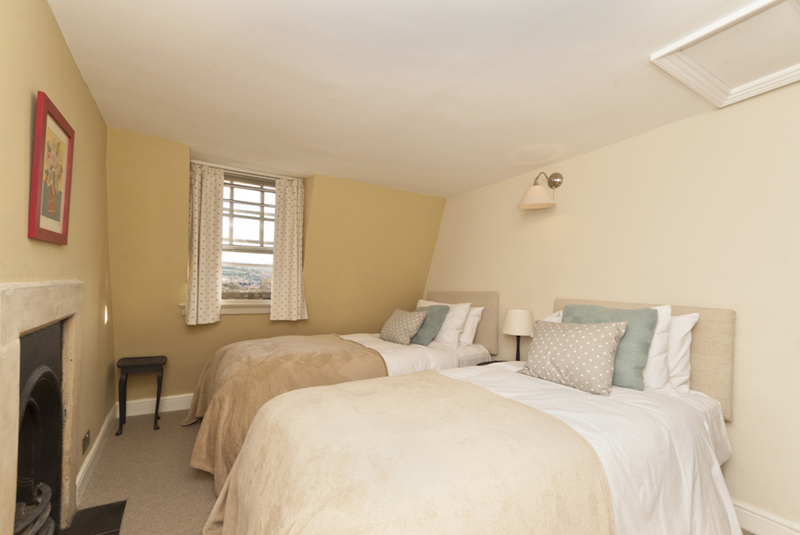 Goose down and feather duvets and pillows with Egyptian cotton sheets guarantee a night of luxury and comfort. Silk duvets are available for allergy sufferers. 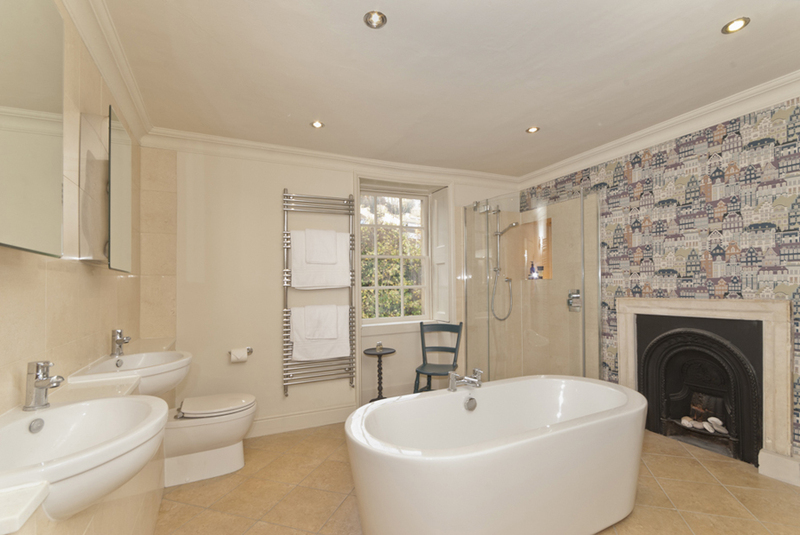 Two sumptuous bathrooms both have double ended baths and large walk-in showers. 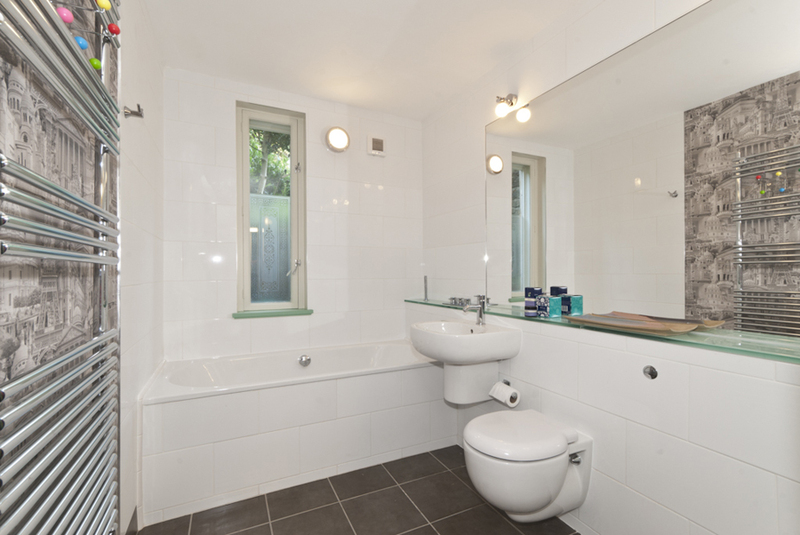 There is a third shower room and a utility room with washer/dryer and fourth WC. 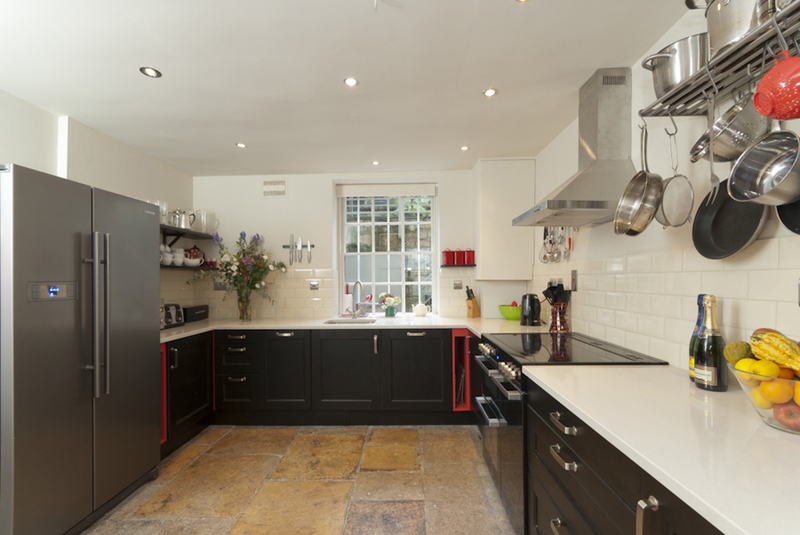 The funky black wood kitchen with cream tiles and red accessories is equipped with everything the professional cook could desire. 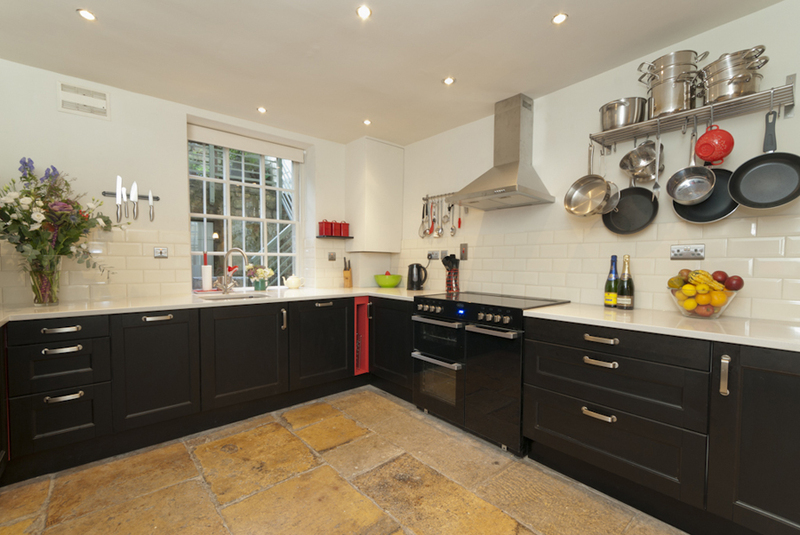 There is a large range cooker with two ovens and separate grill, a huge American fridge freezer, a microwave and two dishwashers. 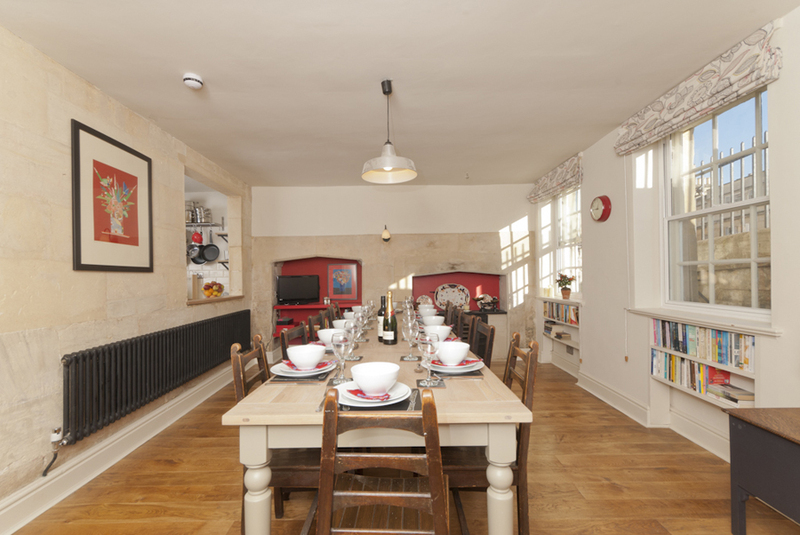 An opulent open plan dining room with a Victorian cooking range and views of the hills around Bath, comfortably seats 14 at the hand made oak dining table. What else the house has to offer? There are TV's on most floors of the house, wifi connection, a DVD player and iphone dock. 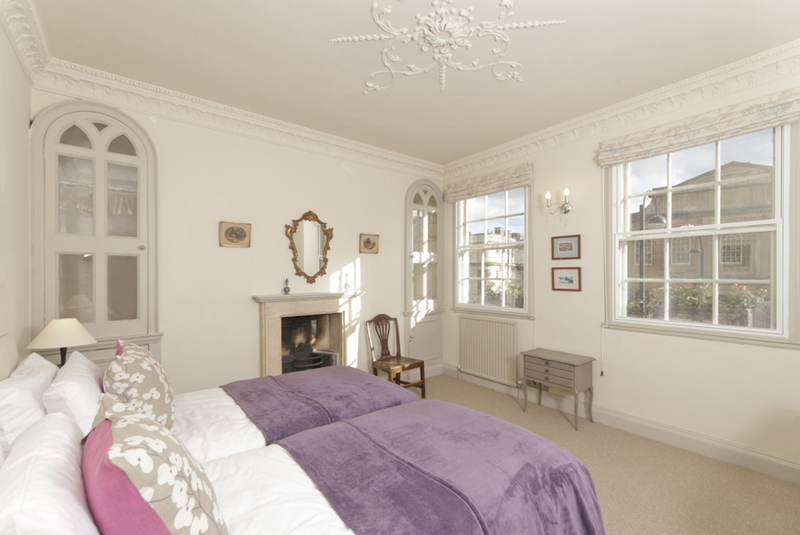 Views from the elegant south facing sitting room and most bedrooms stretch across the town to the green hills beyond. At the back of the house there is a pretty town garden for summer drinks and BBQ's. The garden is accessed from steep stone steps and is not suitable for small children or people with mobility difficulties. The house has one private garage and free street parking is only 5 minutes walk away. 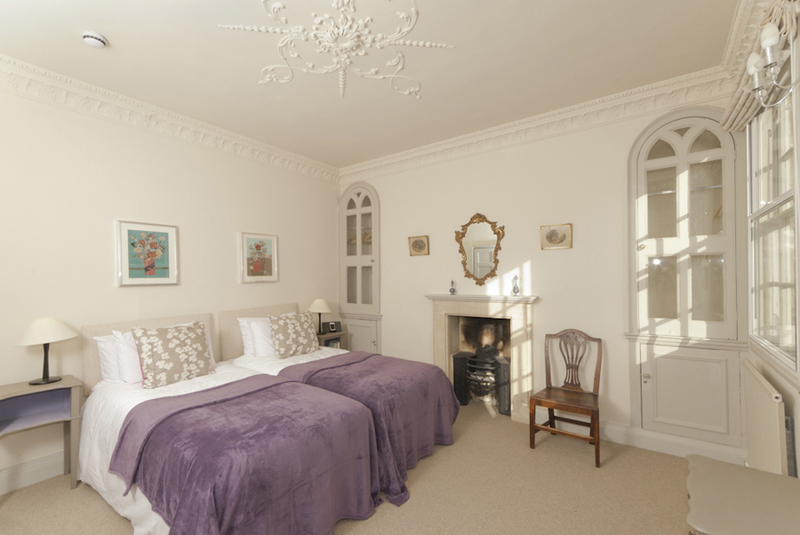 Rennie House offers a unique standard of accommodation in Bath with space and privacy in the surroundings of one of the world's most beautiful cities. 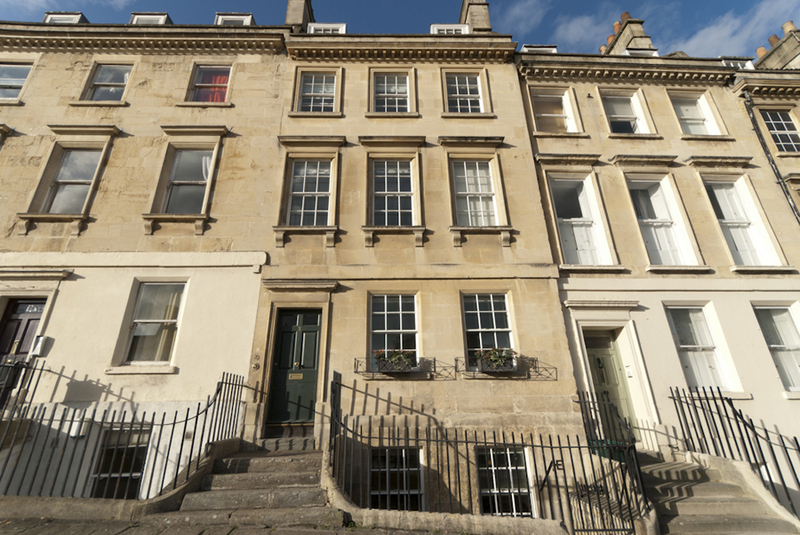 Built on one of Bath's famous high pavements, the house is convenient for every part of the town but set back from the traffic. 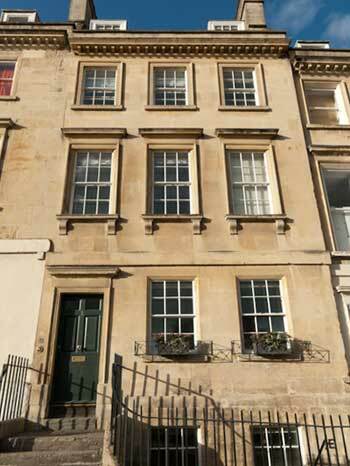 Take a short stroll down Walcot Street and browse the galleries, interior and vintage shops. Stop off for a delicious snack in Ben's Cafe or Sam's Kitchen or enjoy a Italian meal at Aqua or breakfast at the Tramshed. On Saturday mornings there is a regular antique market with clothes, furniture and objet d'art. 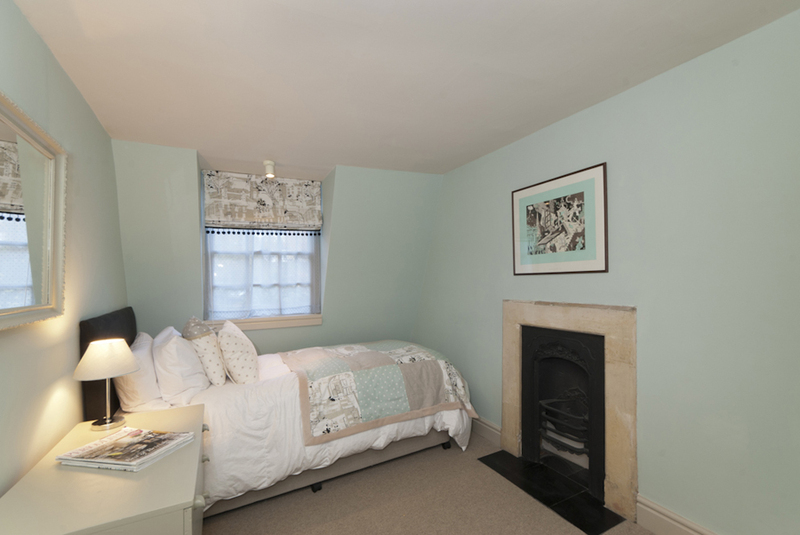 From the market you are in the centre of town with all the shopping and tourist sites Bath has to offer. All of this within 5 minutes of Rennie House. 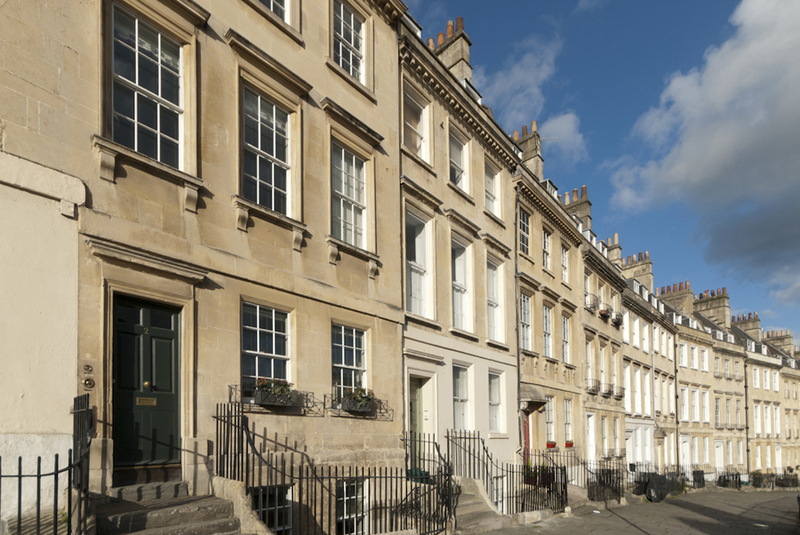 Take the upper road from the house down the Paragon and you can visit the Building of Museum Bath full of fascinating information on the building of this beautiful city. 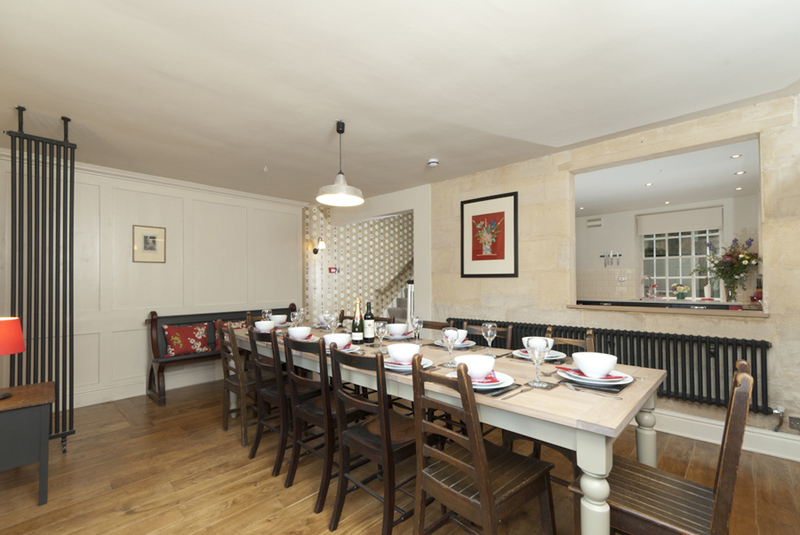 The Star, just 300 yards from the house is one of Bath's oldest pubs, still divided into original private drinking booths. A few hundred yards further down the Paragon brings you to the town centre featuring many individually owned stores as well as the best of the high street chains. The choice of restaurants, bars and clubs in second the none. 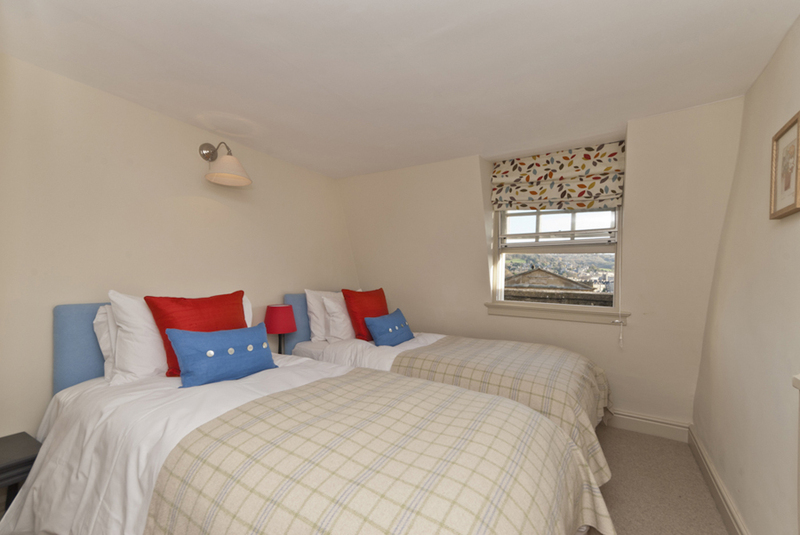 The station is 15 minutes walk from the house, or a short taxi ride.